The Best Practices Board (BPB) is responsible for managing the production and dissemination of the consortium’s work product that describes methods and processes for successful implementation of XBRL Specifications. It is charged with setting priorities for the collection, compilation and development of implementation guidance material and together with the XBRL Standards Board, ensuring that all business process guidance material produced is of uniformly high quality, with the goal of encapsulating our learnings and defining certain pathways as normative guidance. The BPB executes its work agenda through task forces which currently are: Taxonomy Architecture Guidance Task Force and Implementation Guidance Task Force. For information on how to get involved with the BPB or the BPB Task Forces please visit Get Involved. The BPB can be contacted using bpb@xbrl.org. The Implementation Guidance Task Force (IGTF) is looking for members who would like to join! Please see the Call for Participation for details on how to Get Involved in the IGTF. Maria Mora is Principal Engineer on Artificial Intelligence and XBRL Expert at Fujitsu Laboratories of Europe. 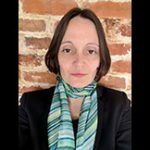 Previously, she worked at CDP, AtoS Consulting Spain and XBRL Spain for the dissemination of the XBRL standard within Spanish regulatory and supervisory entities, as well as, the non-financial reporting market using also Linked data and AI. 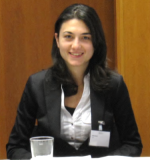 She is a member of several XBRL working groups from the Spanish Financial and Corporate reporting community, participating in projects with national regulatory authorities, including the Bank of Spain, supervisory agencies and national accounting associations (AECA), leading experience in Financial, Solvency, Corporate, and Sustainability Reporting. Maria is currently doing an Engineering Doctorate (EngD) in Systems Engineering at the University of Bristol (United Kingdom). Her areas of research are system engineering applied to corporate reporting, information systems, semantic technologies, Linked Data, AI and Big data. She is author and co-author of several international articles related to XBRL in financial and sustainability reporting published in business and information systems journals, academic conferences, books and magazines. Maria brings to BPB a deep experience and knowledge to build a wider adoption of XBRL in financial and non-financial reporting, through a high-profile career in strategy, research, innovation and technical leadership in the business reporting domain. 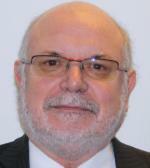 Eric Jarry has developed XBRL taxonomies in France and is chairman of the Technology Group of XBRL France. Previously working for Bull and Software AG, Eric joined Bank of France in 2009 to work on XBRL taxonomies and the reporting repository for Banking and Insurance supervision. With more than 30 years of experience as an IT engineer and architect, Eric has successively worked on micro-programming, operating systems, data communications, distributed transactional systems, security, object and XML technologies. Eric has contributed to standardization in ISO, ECMA, ITU, Open Group and OMG. Meiling Liu is a Ph.D. of management science as well as a postdoctoral of public finance. She has got the bachelor degree in computer science & technology and a master degree in accounting. Her research area is accounting and information systems. 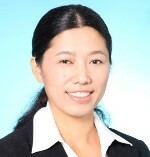 Meiling is currently a lecturer as well as a master’s tutor for the Teaching & Research Department in Shanghai National Accounting Institute, China, a trainer and the contact for the Experience Center of XBRL China (EC-XBRL-CN), the contact for the Accounting and Information System Professional Committee of Accounting Society of China. She passed the XBRL Foundation Certificate of XII in 2015. Meiling is working on a book named Experiential Spread of XBRL: Theory, Methodology, and Practice, and a project named Diffusion Mechanism Research of XBRL in China, sponsored by the National Natural Science Foundation of China. CFOs, CPAs, MPAccs, and EMPAccs are her main trainees. XBRL filers, auditors, regulators, consumers, teachers, and researchers are included. Her email is lml@snai.edu. 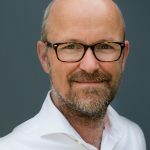 Bas Groenveld is managing director and co-founder of Aguilonius Netherlands. He supports governments, regulators, financial institutions and multinationals with the transition to structured digital reporting. He is (and has been) involved in a number of XBRL projects, such as the Dutch Standard Business Reporting program, SBR for Banks and several projects at government agencies, regulators and banks. Bas is educated as an economist, a chartered controller and currently taking courses in computer sciences. He is a guest lecturer and thesis supervisor at Dutch universities. Bas is a strong proponent of standards, creating a level playing field for businesses, which often leads to innovation and better offerings in the market place. Andie Wood’s main areas of interest include data modeling, taxonomy design and the role of technology and data in the future of corporate reporting. Andie is an experienced data and semantic modeler and has been working with XBRL for over 15 years. Andie is co-chair of the Entity-Specific Disclosure Task Force, and a member of a number of other XBRL International task forces. Prior to her role with Workiva Andie spent five years at the IASB working on the IFRS Taxonomy and technology in corporate reporting. Other roles included XBRL and data modelling work at EY, Banco de España and a number of UK government departments. Andromeda has a degree in Biological Sciences from St Catherine’s College, Oxford. Mikhail Sadofyev works in Advisory Technology Consulting in PwC Russia and CEE / CIS regions. Mikhail is responsible for the implementation and support of XBRL solutions. 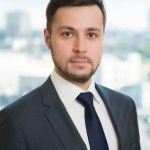 Since joining PwC Mikhail actively participates in XBRL projects for a range of customers in the public and private sector as a technology leader. Mikhail has over 14 years of experience as an IT engineer and architect. Apart from XBRL his professional competence focuses on data management, business analytics and enterprise software development, as well as IT project management methodology and blockchain technology solutions. He holds a Bachelor’s degree in Computer Science, Master’s degree in Business Administration (MBA) and is certified Project Management Professional (PMP). Katherine Haigh is Quality Assurance Manager at CoreFiling. Her main interests include quality and continual process improvement, and she has been working to apply these in the XBRL sphere since 2011. 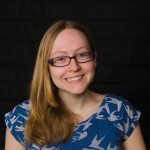 With experience in data modelling, taxonomy development and XBRL user training, she brings to the BPB an understanding of XBRL from a business user’s point of view as well as a more technical perspective. She has been a member of the Filing Rules Working Group since its inception and has also provided feedback on taxonomies such as the EIOPA’s Solvency II and the EBA’s CRD IV. Katherine has a Master’s Degree in Mathematics and Philosophy from New College, Oxford.